How do we tune into our sensuous experiences with the other-than-human world and creatively engage and express them through a radical reciprocity? How does site-specific deep improvisation: an arts-based corporeal process of exploration of interconnection translate to a vitally potent politics? In the current politically and ecologically fraught era, what might gathering together on an off-the-grid island in Traditional Straits Salish Territory with artistic intention and focus -- birth in ourselves and with/for others? Where are our borders in these ‘wild’ times?! ~The workshop will take place at a variety of site-specific locations around the island~ The workshop will begin with an evening session on Friday night. Sunday morning’s session will begin pre-sunrise. Days will be full. Participants are asked to bring appropriate clothing for walking and working in the forest and on the shore, a headlamp, waterbottle, journal, and musical instruments, if possible. Participants need to bring their own tent and sleeping bags for camping. Please be aware that Lasqueti Island is an off-the-grid, rugged environment with limited infrastructure and a highly sensitive ecosystem… please be prepared for ‘roughing’ it. *Arrival and Departure from Lasqueti: Depending on the number of participants, a chartered water taxi may be arranged for from French Creek, Vancouver Island on the Friday: taking you directly to the South End, closer to the location for workshop. However these details will not be known until closer to the time. Otherwise, participants will arrive on the 2:30 ferry on Friday from French Creek, and will depart on the Sunday 4:00 ferry from Lasqueti. Please note that the above price does not include transportation costs to and from Lasqueti. Arrangements may be made to arrive earlier and leave later, to be discussed with Bronwyn. "Really fantastic workshop yesterday! I was very grateful to have been a participant. You're an exceptional facilitator." To Receive Announcements of Upcoming Workshops, Subscribe to Bronwyn’s Mailing List Here! Please Contact Bronwyn for more information and booking! 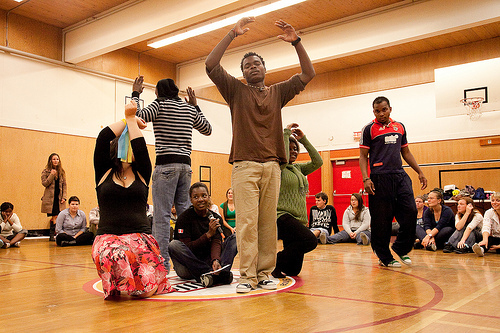 Integrating drama, writing, and the reading of Gulf Islands Alphabet, this workshop is suitable for elementary school children, as we go on an island-hopping journey through the Salish Sea, stopping to meet local animals, plants, and islanders along the way! A series of 4 workshops that explore Food Security, beginning with our globally-sourced foods right through to our provincial, local and leading in to growing our own food. 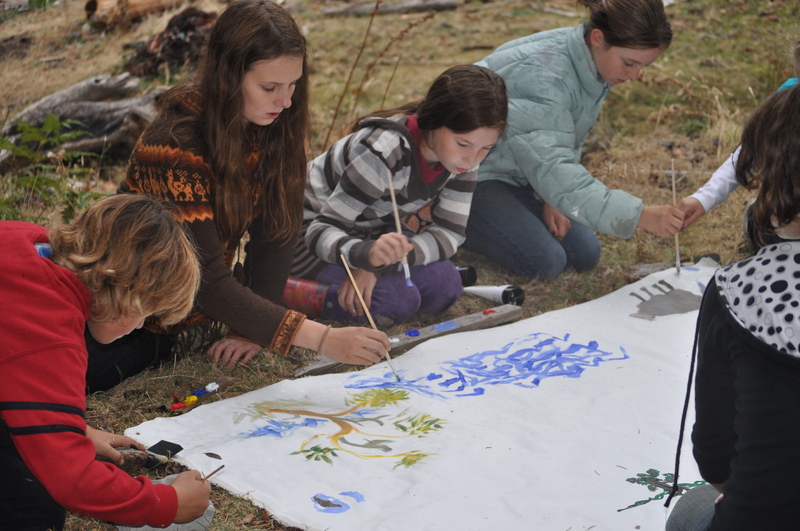 Targeted for Grade 4, 5 and 6 children living on Vancouver Island, these workshops allow students to explore, share and generate their own innovative responses to the timely issue of our local food supply and where it comes from. In accordance with school curriculum and provincial PLOs. and lead the workshops themselves! 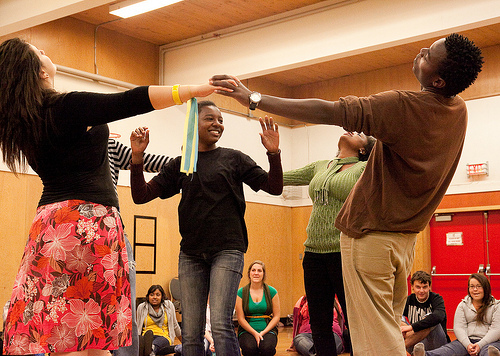 Using images from Allen Say’s book Grandfathers Journey and employing a series of dramatic conventions, this workshop allows students to explore the sometimes conflicting, difficult decisions that face an individual on whether they should stay or leave a given country. The power of the decision liies and is guided by the students. Designed in accordance with the BC Grade 5 Social Studies curriculum and PLOs, but suitable for groups both younger and older. 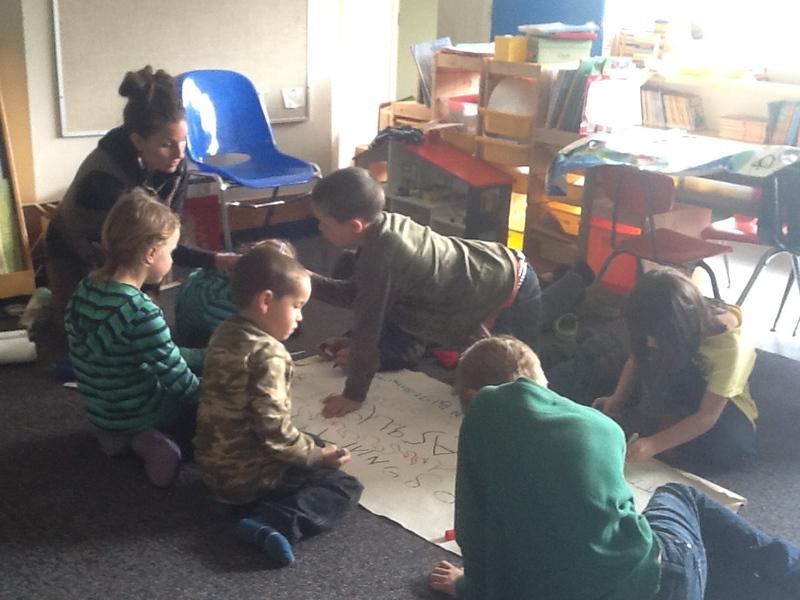 How do children define the concept of community? How broadly or narrowly does a given set of children define the abstract concept? The results might just astound you…as they have me! This workshop is ideally composed of two groups (i.e. two separate school classes, one older, one younger is a nice mix, and can be an excellent exploration for Little Buddy/Big Buddy partnerships). Part One: Bronwyn meets with each group independently and facilitates the children in group explorations of community, using collective drawing techniques and Teacher-in-Role conventions, Based on the children’s explorations, Bronwyn facilitates the children into becoming representatives for different communities, and in small group collectively explore what is most important and some of the hurdles that their community faces. Students are informed that they will be meeting and speaking on behalf of their community at the upcoming Council of Communities, where they will be joined by other community representatives. Part Two (and on a separate day): both groups are brought together, and all together participate in the Council of Communities, a circle in which every child is given the opportunity to speak and listen to the voices and concerns of the other communities. Finding common ground and striving to collectively problem-solve issues facing the various communities, this workshop makes for an inspiring and collectively dynamic and resonant sharing. Internationally-renowned Deep Ecologist Joanna Macy developed The Work that Reconnects as a means of assisting people with expressing their despair for the state of the world and in turn offering means to turn these feelings of despair into empowerment. After working with Macy, Bronwyn developed a means of making the WTR body of work more accessible to a younger audience. 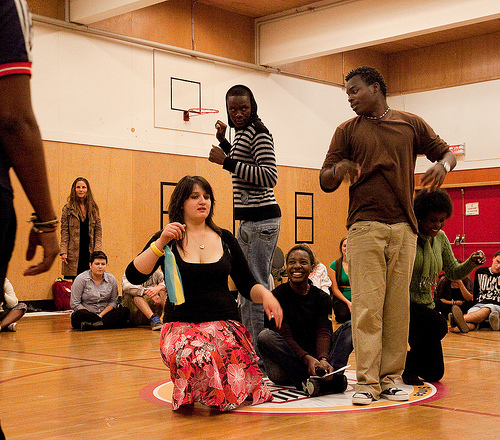 Employing various drama conventions enables youth a safe and easily accessible entry point into exploring and expressing their feelings about the state of their global home. 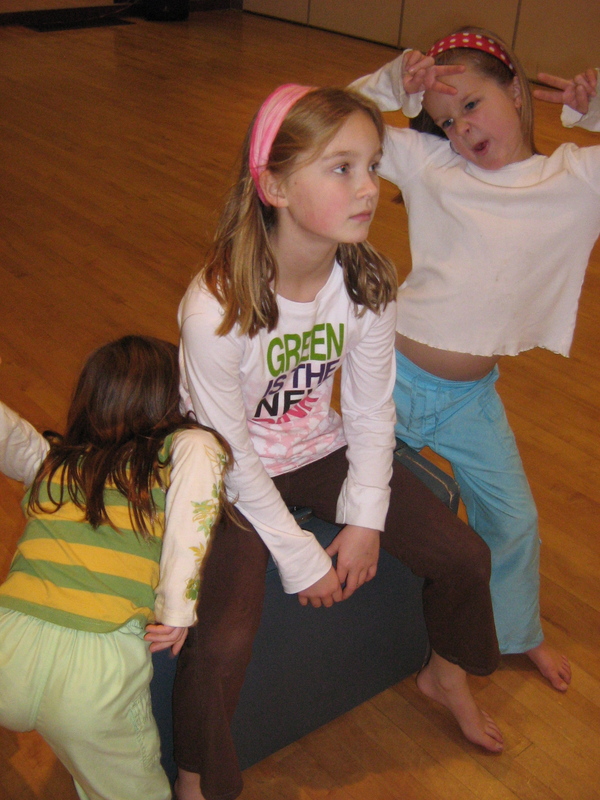 The Work that Reconnects-into-Drama is geared towards an adolescent age group, and can be tailored to be a multi-hour up to a multi-day workshop.